Jeannette Rankin, “Jeannette Rankin,” Histories of the National Mall, accessed April 23, 2019, http://mallhistory.org/items/show/127. Jeanette Rankin was the first woman member of Congress. Rankin served two nonconsecutive terms in 1916 and again in 1940, giving her the unique ability to vote against US entry into war for both World War I and World War II. Rankin continued her activism for women's rights and pacifism for her entire life. In 1968, at age 87, Rankin led a march on Washington of women's peace organizations who protested US involvement in the Vietnam War. Five thousand women descended on the National Mall, voicing their protest on the opening day of the 1968 Congressional session. 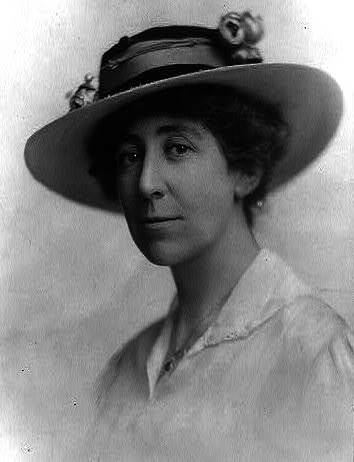 Jeannette Rankin was born near Missoula, Montana in 1880. After college Rankin worked as a social worker, reformer, pacifist, and activist for women's suffrage. She was the first woman elected to the U.S. Congress, from her home state in 1916. A year later, she earned a second distinction by joining 49 of her House colleagues in voting against U.S. entry into World War I. That vote destroyed her prospects for reelection in 1918. She served as an officer of the Women's International League for Peace and Freedom during the early 1920s and, as a lobbyist for the Women's Peace Union, which campaigned to outlaw war. Rankin became a part-time resident of Georgia where she founded the Georgia Peace Society in 1928. The following year she joined the National Council for the Prevention of War as its chief Washington lobbyist and field organizer. In 1940, riding a tide of isolationism, Rankin won her second term in the House. The December 1941 Japanese attack on Pearl Harbor put an end to US isolationism, but Rankin remained true to her anti-war beliefs. She was the only member of Congress to vote against declaring war on Japan. She captured the attention of the public for the last time in 1968 by leading the Jeannette Rankin Brigade, some 5,000 feminists, pacifists, radicals, students, and others, to the Capitol to demonstrate against the Vietnam War.